The Shekel - Coins, Law and Commentary: Happy Hanukkah! Once I got home I hurried to make the traditional latkas. I went old school today, using a hand grater instead of a Cuisinart. 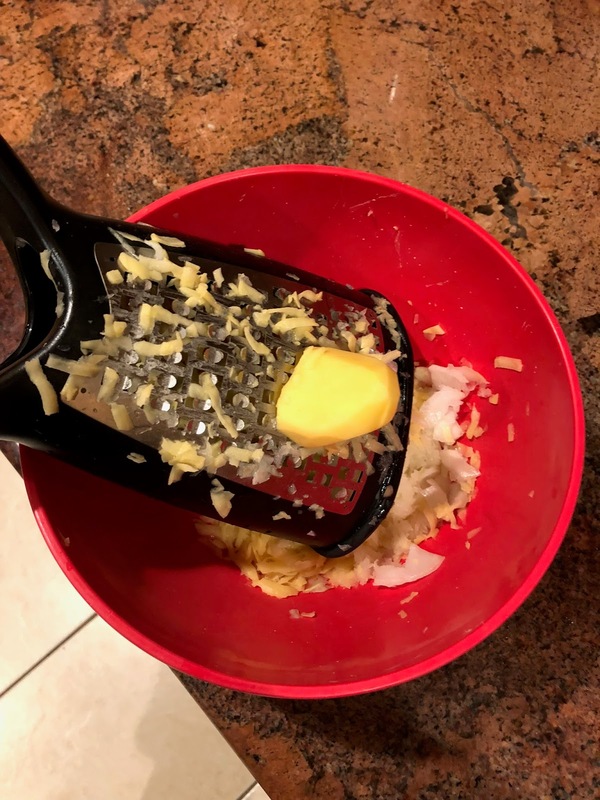 It was a rather sharp hand grater. Ah well, no pain, no gain. 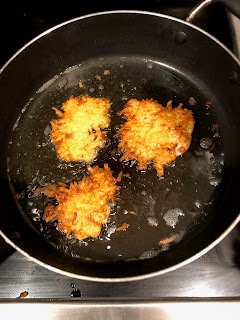 I followed the recipe and had the latkas ready to fry in the pan. 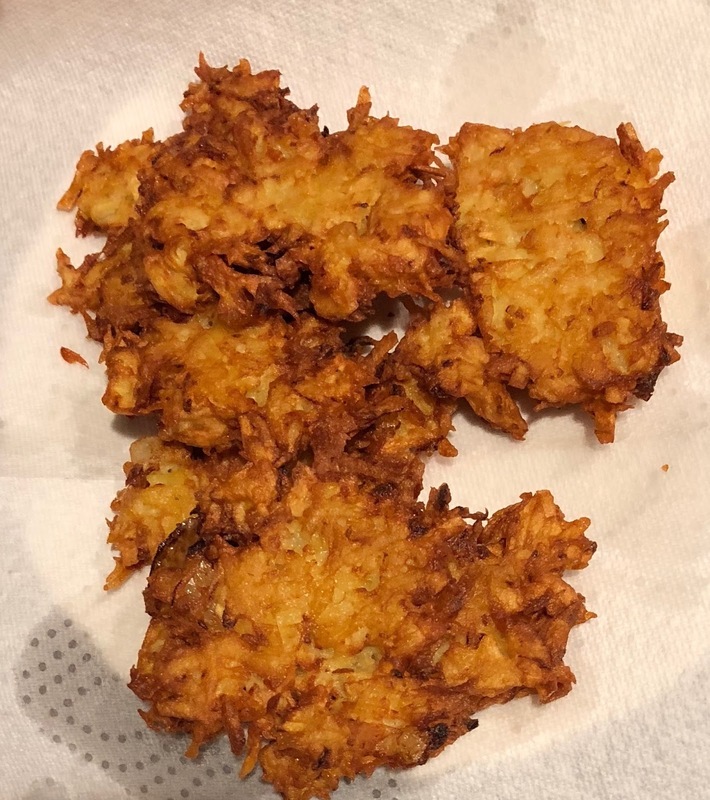 They came out golden brown and delicious. Presents to follow the festivities and lighting of the Hanukkiah (Menorah). A very Happy Hanukkah to you and yours, and may the light of Freedom shine brightly. Happy Hanukkah Aaron and family!